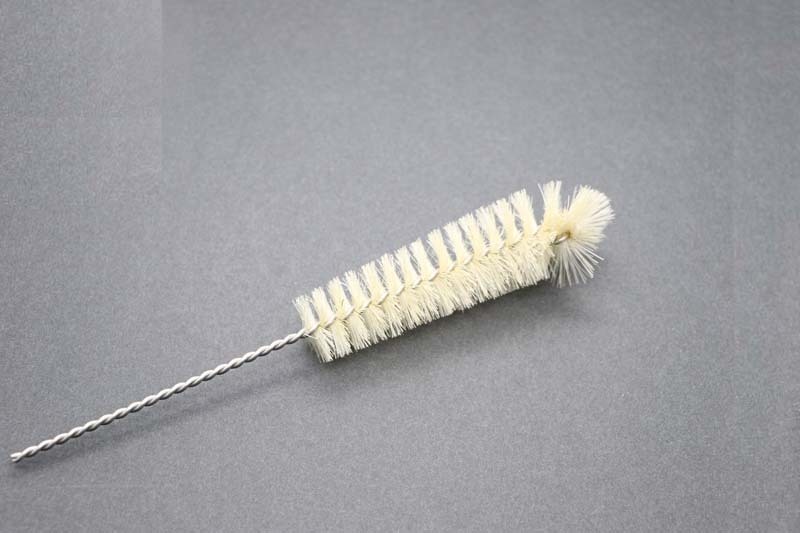 In Bristle Bottle Cleaning Brushes, the bristle material is twisted between two wires or four wire. Single-Stem Single-Spiral – Bristles are twisted between two stem wires with a single layer of filament. Double-Stem Single-Spiral – Bristles are twisted between four stem wires with two stem wires on each side. This results in a brush with a much stronger base and potentially greater filament density. Double-Stem Double-Spiral – Bristles are twisted between four stem wires with two layers of bristles. Each layer is perpendicular to the other with a single stem wire in each quadrant. This results in a brush with the highest filament density and highest strength.